For transport without constraints, trust ARNOUX AUTO PRESTIGE. Welcome to Arnoux Auto Prestige, the reference of passenger transport company in Poitou-Charentes. We offer car rental with driver. Transport and tours in sedan, minibus and coach in France and Europe. Founded in 2001 and having many references as well as a strong base in the Poitou-Charentes and the Bordeaux region, our company has earned the trust of big names in music, sports, politics, whether french or foreign. Many Cognac houses trust us for various important events. 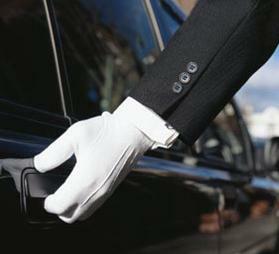 If you expect your rental car with driver the utmost professionalism, contact Arnoux Auto Prestige. For a stress-free transportation, trust Arnoux Auto Prestige, the reference of passenger transport company in Poitou-Charentes. ARNOUX AUTO PRESTIGE manages your entire transport, whether by car, minibus or bus to Cognac, its surroundings and the New Aquitaine. ARNOUX AUTO PRESTIGE makes the transfers from the airports, proposes tourist excursions, leads you to your Gala Nights, takes you to your Hotels, to the concert halls at the stadiums and all other activities that you could have.